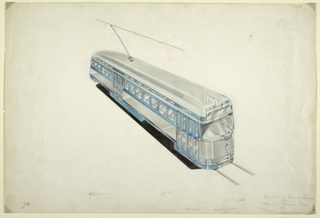 See more objects with the tag , electricity, transportation, mobility, system, infrastructure. This is a Wireless Charging Pads. 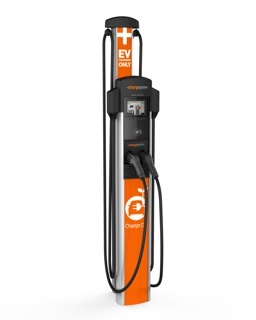 It was designed by WAVE (Wireless Advanced Vehicle Electrification). It is dated 2012. Its medium is resin, plastic, copper, ferrite, electronics. 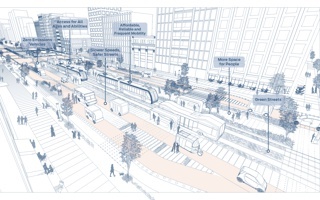 Reducing dependency on carbon-emitting vehicles and the widespread use of electric public transit requires changes to existing urban infrastructure. 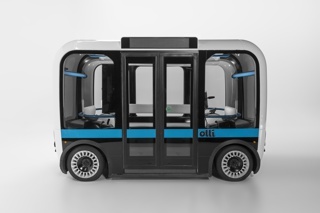 Streets are prime real estate for embedding smart technology systems, including wireless charging along bus routes like the Wireless Advanced Vehicle Electrification (WAVE) charging pad. 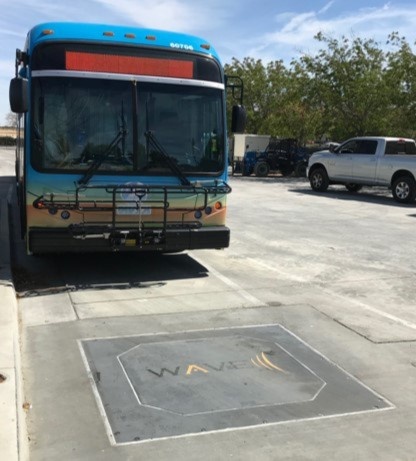 Designed to be mounted unobtrusively on both the underside of a bus and flush within the road pavement, the WAVE system is currently being used in several cities. 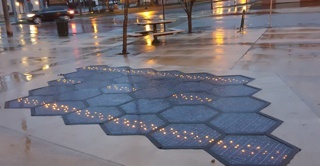 It is credited Courtesy of WAVE and Utah State University. graphite, blue color pencil, black pastel crayon on white heavy wove paper.